On Wednesday, UK Prime Minister Theresa May suffered another blow to her political credibility as former foreign secretary Boris Johnson delivered a scathing address to the British parliament explaining his resignation last week from May’s government over its handling of the Brexit negotiations. Johnson, who had been one of the strongest pro-Brexit voices in May’s cabinet, used the opportunity to express his concerns that the prime minister’s current plan would not truly provide for a path to an independent Great Britain. “It was my privilege to collaborate with [May] in promoting global Britain. A vision for this country that she set out with great clarity at Lancaster House on January 17th last year. 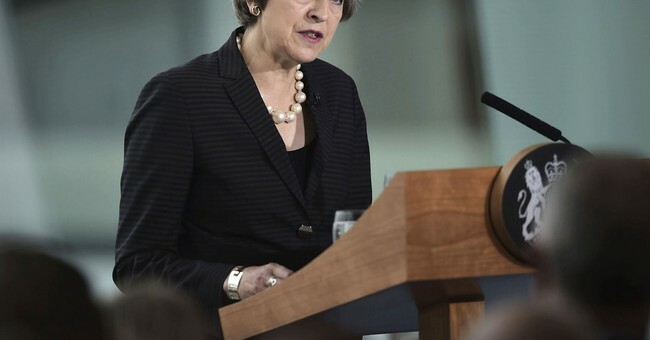 A country eager, as she said, not just to do a bold, ambitious and comprehensive free trade agreement with the EU – out of the customs union, out of the single market – but also to do new free trade deals around the world. I thought it was the right vision then. I think so today. Johnson went on to describe this potential future for the UK as one not of independence, but “economic vassalage” to the EU. Johnson also explained that he could no longer be part of a government that was “underestimating the intelligence of the public” by “saying one thing to the EU about what we are doing, and then saying another thing to the electorate” in telling them that they were truly intending to leave the European Union and its byzantine system of laws and regulations behind. “In important ways, this is…Brexit in name only – I am, of course, unable to accept it or support it… I am happy now to speak out against it and be able to do so. Mr Speaker, it is not too late to save Brexit, we have time in these negotiations. Conservatives leaving the meeting of the 1922 Committee, where May is addressing Tory backbenchers, say the mood is positive -- so much so that one lawmaker withdrew his letter seeking a leadership challenge. If a real Brexit never does ultimately happen and Johnson’s advice is not heeded, the United Kingdom’s stunning transformation in less than a century from an empire on which the sun never set to just another vassal of Germany’s second worst chancellor will surely be regarded by future historical accounts as one of the greatest national collapses ever recorded.